We created the cover image for a Google Cloud supplement in The Sunday Times. 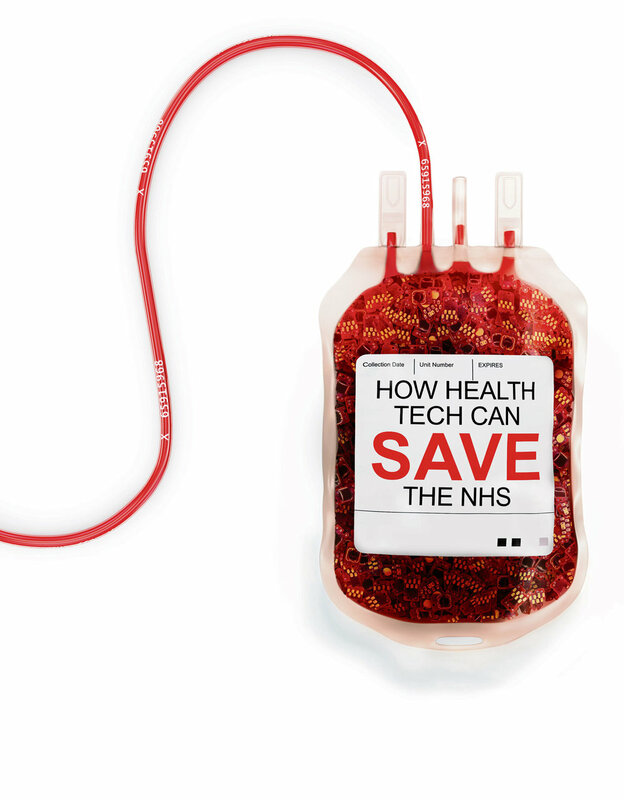 The headline was 'How Can Technology Save The NHS'. 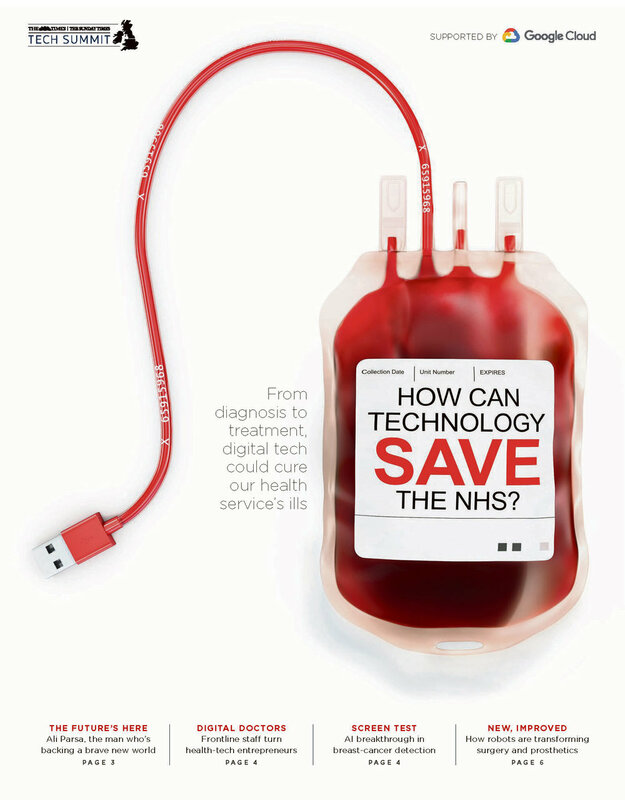 The brief was to create an image of a blood bag with a USB wire. We created two versions, one which included microchips inside the bag as well as an animation for social. We created the whole cover in 3D and rendered it within a white studio scene. This meant the image sat nicely on the white cover and we could also include some drop shadows. For the second version of the cover image we created a set of 8 microchips and used a physics engine to drop hundreds of them into the bag. We delivered the two cover options as well as an animation for social. The cover image was published on 18th September 2018. Here is a quick breakdown video.